In daily the “Will he, won’t they” theater of trade war invective between Trump and China, the European debt mess has receded to the back pages. 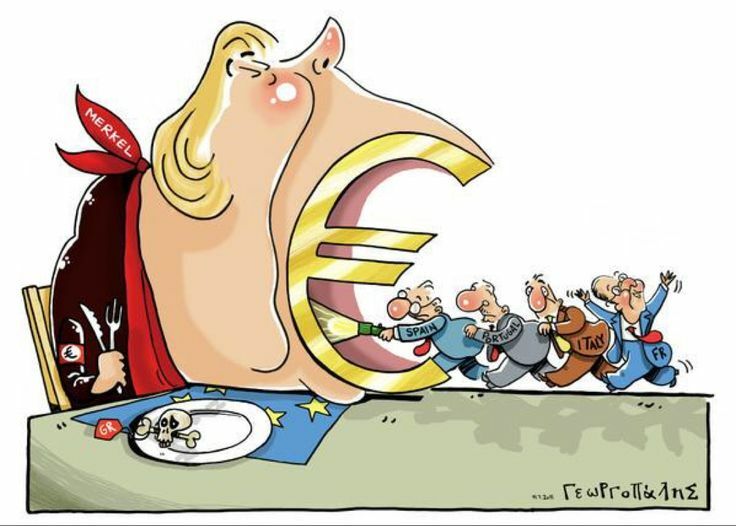 The eurozone, no matter how it tries, is tethered to a brutal reality: Some member states are junk-debt disasters that require Germany to bail them out. It is difficult to overstate how little the German voting populous cares to do so. Italy and Greece, nations whose ongoing political farces underscore how little they’ve learned and how little they care to change, would simply like their checks now, please, so they can go back to the modes of spending and debt assumption that got them into this situation to begin with. European economists have proposed multiple ways to fix the monetary union. But they can’t get past a political fact: Rich countries of the north don’t want to underwrite the precarious ones on the periphery, which they regard as irresponsible. The rising tide of populist nationalism has deepened the northerners’ tight-fistedness. Recently, a bloc of eight hawkish northern states made clear its opposition to a “transfer union.” In Germany, the surge of the xenophobic Alternative for Germany party has narrowed the government’s scope for solidarity with the periphery. But the worst news comes from Italy. Last month’s election yielded a parliament dominated by two populist parties that reject economic responsibility. Even though Italy’s government debt is already off the charts, the populists support a ruinously expensive universal basic income and a rolling back of pension reform. Indeed, their irresponsibility extends further: More than a month after the vote, they continue to bicker about the shape of the next government. Europe’s monetary fragility, too obvious to deny, means the region will at least pretend to do something. France’s president is keen to see progress, and some German leaders support him. But Italy looks less deserving of trust and assistance than it has in a long time. Odds are that the French will extract minimal concessions from the northerners. Maybe Trump is reckless enough to tank the world economy with a trade war. But the political risk looks higher in Europe.